“Just Another Brick in the Wall. The entrance court complements the circular embrace of the university’s newest dining commons, serving first-year students. 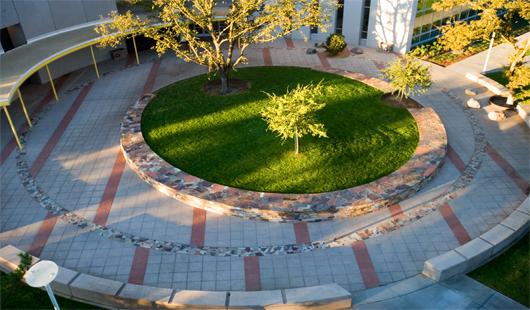 The stone wall raises a lawn area for shade and relaxation during warm weather. The wall directs pedestrian flows and promotes chance encounters for those sitting and walking by.